It has been noted that 10,146,399 people or around 98.19 percent of total 10.3 million of Jakarta residents, already registered as participants in the National Health Insurance (JSN).
" Our BPJS Kesehatan partnership forum activities are conducted to inform all stakeholders related to health services"
Jakarta Community Welfare Assistant, Catur Laswanto stated that his party along with BPJS Kesehatan held a partnership forum thus all residents would be registered as JKN participants. "Our BPJS Kesehatan partnership forum activities are conducted to inform all stakeholders related to health services," he expressed, Thursday (9/6). 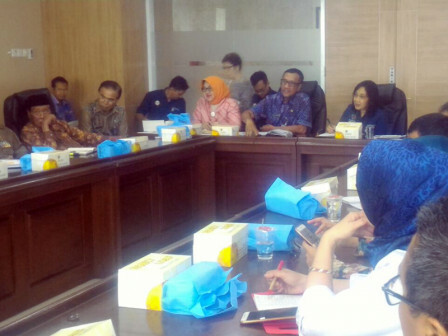 Jakarta Greater BPJS Kesehatan Deputy Director, Ni Made Ayu Sri Ratna Sudewi explained that it is very important to get the health facilities provided by the government. "By so, we hope there will be input from stakeholders thus BPJS Kesehatan services will be better," he stated.